Vacuum Pressure Impregnation (VPI) process provides many benefits to the user. It completely seals the windings against moisture and vibration, provides greater mechanical strength and improved corona protection. VPI ( Vacuum Pressure Impregnation ) vastly improves performance and reliability even in the harshest working environments. Machines last longer and require less maintenance. 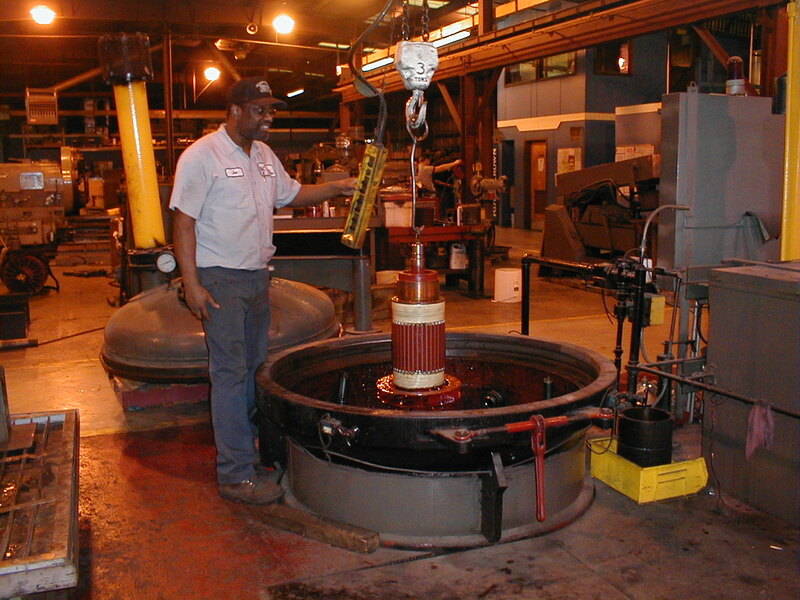 VPI ( Vacuum Pressure Impregnation ) is a process which provides positive pay-back over a short period of time. VPI is a special process of coating the windings of your motor with a superior insulation that will improve it's life and operation. Motors operating in a harsh environment or critical applications are prime candidates for this process. © 2018 Krauth Electric Co., Inc. All Rights Reserved.